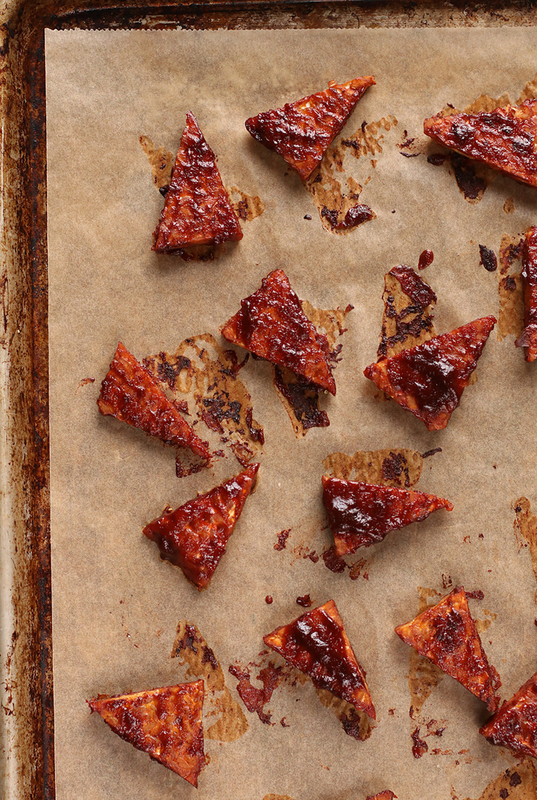 If you’re a tempeh newbie, never fear! 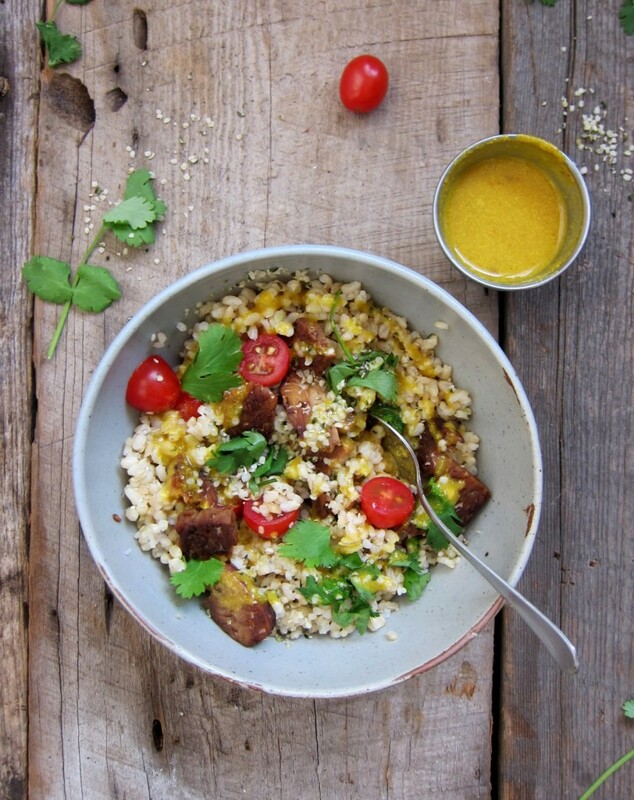 This fantastic soy food is going to be your new bestie. 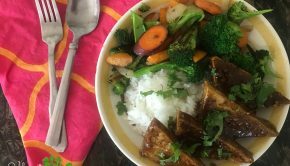 Tempeh is totally different than tofu, and I use it in really different ways. Also unlike tofu, tempeh needs a little love to be its best, most delicious self. While you can eat tofu right out of the package (you’ve done that, too, RIGHT…?! 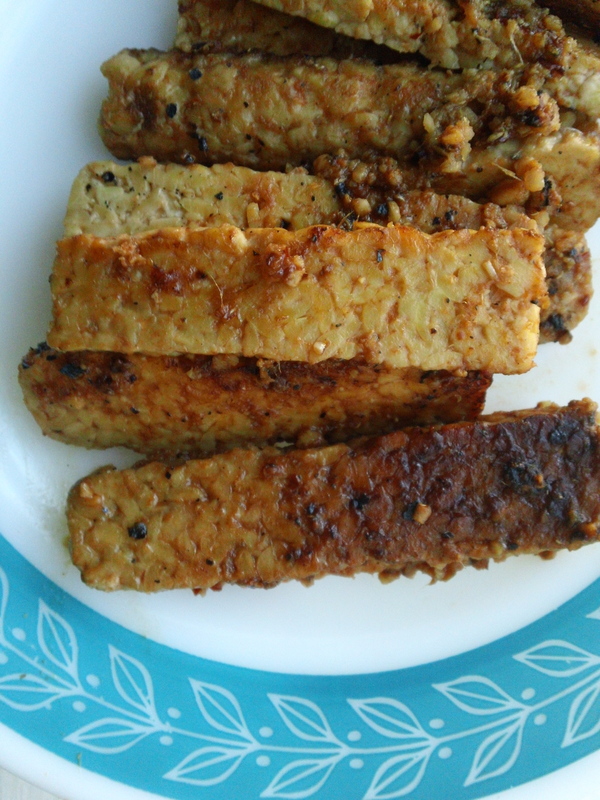 ), tempeh tastes best when marinated, baked, or otherwise prepared as part of a dish. Tempeh is actually one of my favorite foods. 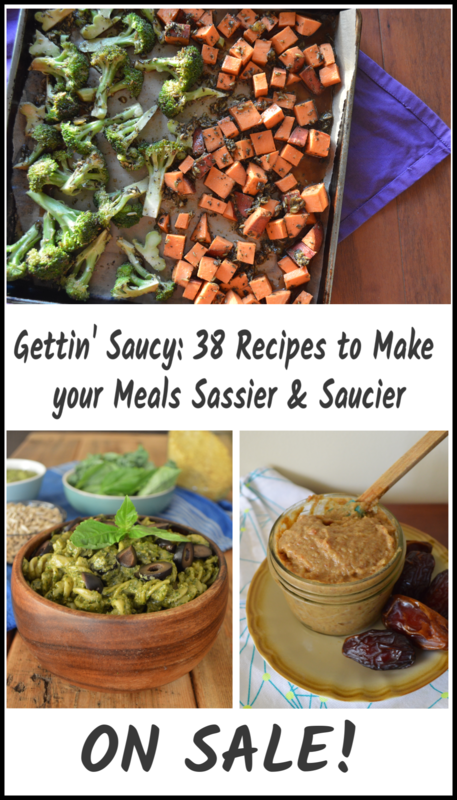 It’s crazy high in protein, full of fiber, and is endlessly versatile. It’s also fermented, which means the beans are actually kinda pre-digested, and are apparently more digestable for those that get upset tummies from eating beans or soy. 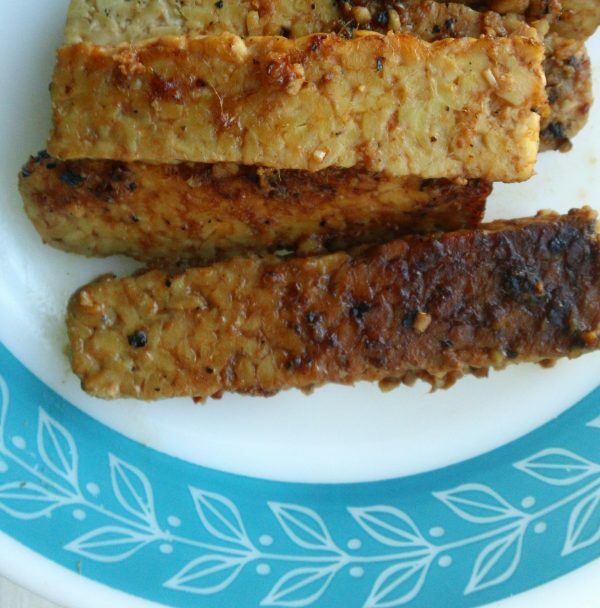 Tempeh comes to us from Indonesia, where it’s a common staple food. It’s made by mixing a culture (Rhizopus Oligosporus) into cooked and dried soybeans. The mixture is mashed into cakes, and incubated for about 8 hours to let the culture react with the beans. You can see the fresh white mold (yes!) in between the beans, and this is the magic of fermentation. The culture helps predigest the beans, making them more digestable for our bodies, and changing the flavor. I know, we’re told NOT to eat moldy things, but I encourage you to suspend your disbelief and try it (and if you’re serving it to newbies, just don’t tell them about the mold stuff). The resulting tempeh ‘cake’ can be crumbled, sliced, cubed, or otherwise shaped depending on the recipe you need. Out of the package, tempeh should smell fresh and somewhat nutty. It’s mostly pale beige bean color, with white fuzzy mold between the beans. As you can see in the picture above, sometimes there are black spots on the tempeh. Not to worry, these spots are a natural outcome of the fermentation process and are not a cause of concern; they do not affect taste or texture. Just leave them as is and proceed with cooking. Most tempeh you buy at the store is pasteurized, but there may be some unhealthy bacteria that lingers, so it’s best not to eat tempeh raw. Also, it’s kinda a weird texture and it’s definitely more delicious marinated and cooked up into something yummy. 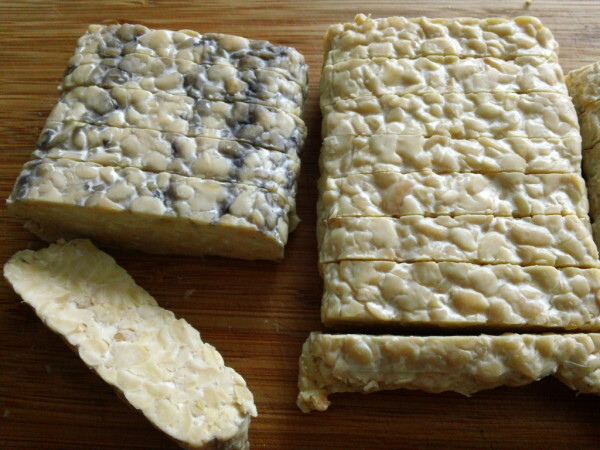 If you can find locally-made tempeh, it’s likely unpasteurized and should definitely be cooked before eating. 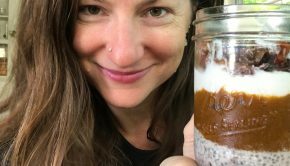 I’ve spent years cooking tempeh, and below I’ve gathered some of my favorite recipes along with some excellent suggestions from some blogger friends. My recipes have been tested in my home and in my cooking classes over the years, so I’m sure they will find themselves at home in your kitchen. Some are more complicated than others, so I’ve included a little note in the title as to whether it’s relatively easy, medium, or complicated. 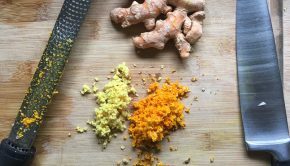 You’ll note in many of these recipes from my blogger friends that the tempeh is steamed before cooking. They say that it’s to remove the bitterness, but I don’t find that tempeh has a natural bitterness. I have never steamed my tempeh for my recipes, and none of my recipes call for it, but if you find it’s bitter, steam the tempeh for a few minutes before starting. Or, try it both ways (steamed and not) and see what tastes best for you. 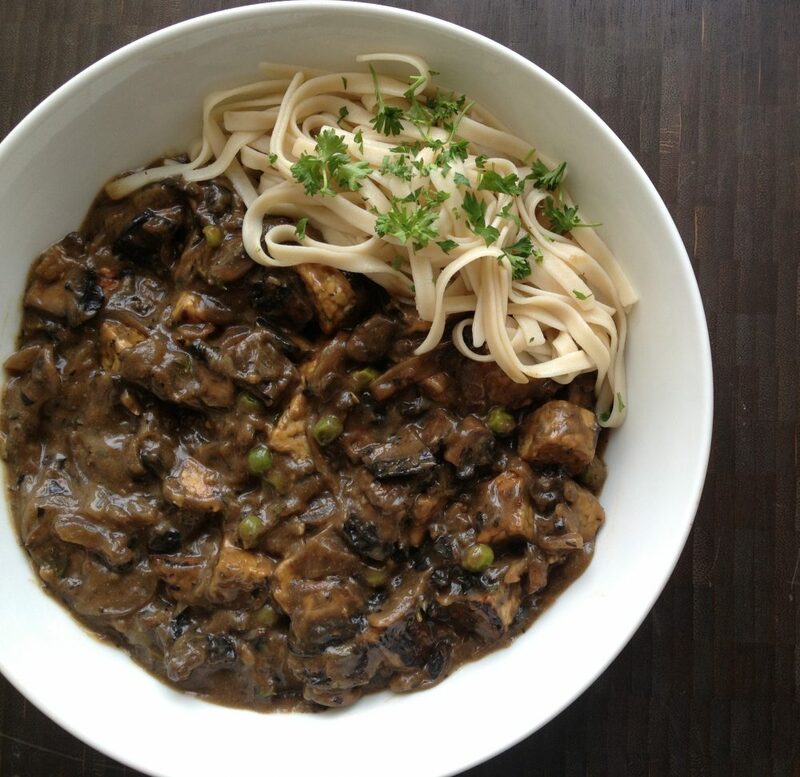 My mom used to make stroganoff for us when we were kids, but this version is a little upgraded! 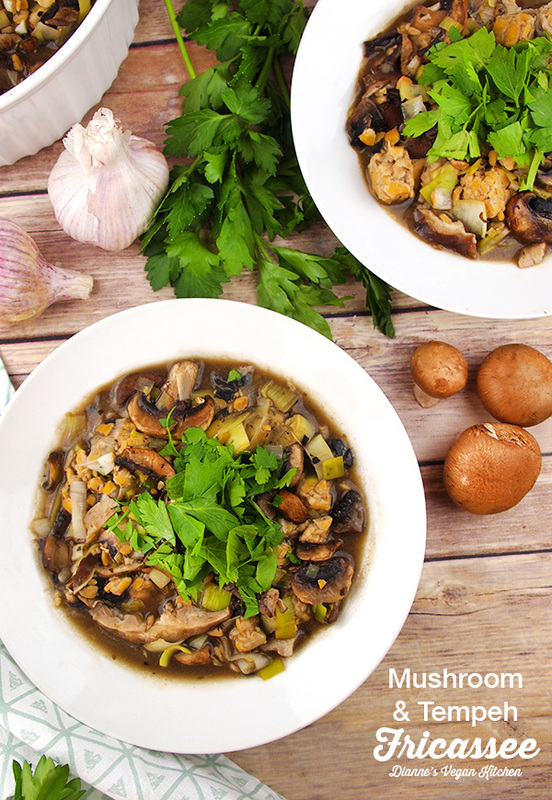 Fresh mushrooms, rich herbs, a plant-based gravy and, of course, savory tempeh. 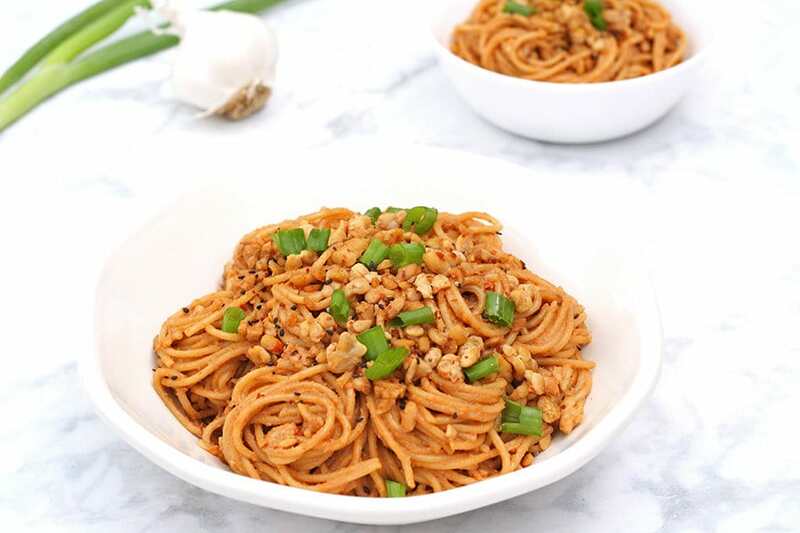 Serve with your favorite wide noodles or with rice. I add the note that it’s complicated because the ingredient list is long and there are a few more steps than the other recipes. 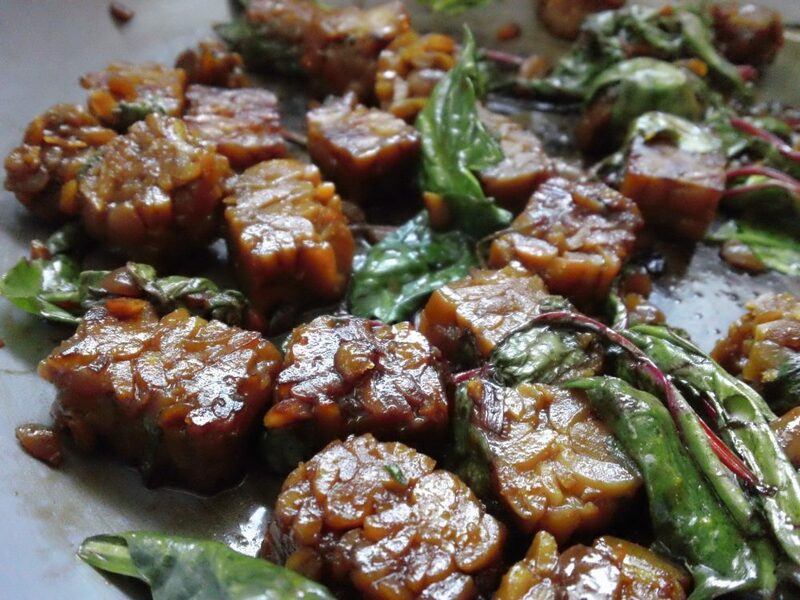 This is one of the easiest tempeh recipes: just a few ingredients make a rich and flavorful sauce: orange juice, soy sauce, apple cider vinegar, and some sugar. As written it’s quite sweet so if you like things less sweet just use about half the sweetener. Serve with rice, with noodles, or cooked and slightly drained (it’s quite saucy) over a big kale salad. 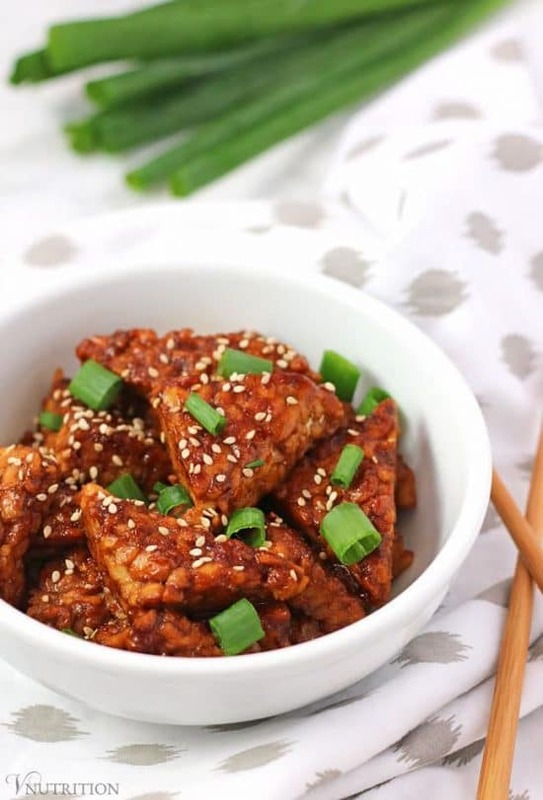 I love the combination of sesame and tempeh, and this recipe from Mary Ellen looks like an awesome way to enjoy it. I love the simplicity of this dish! 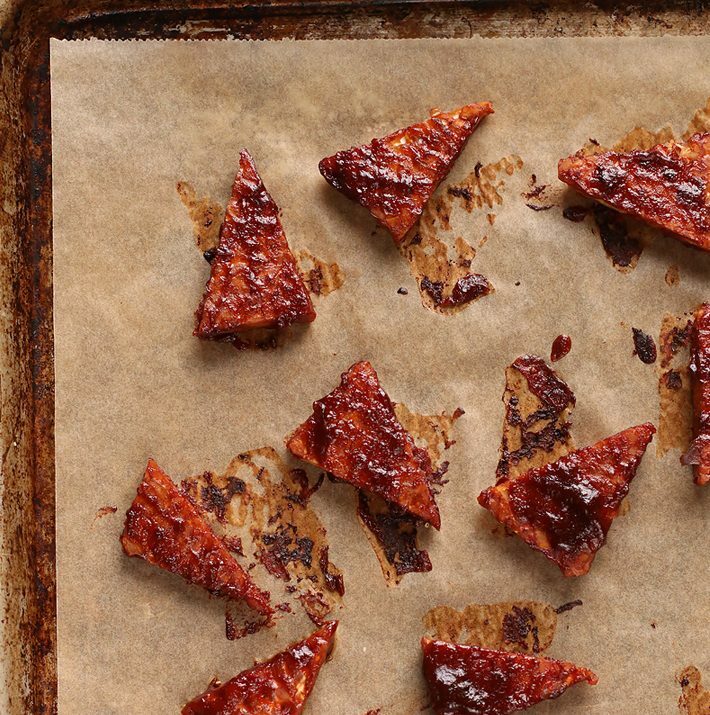 Take your sandwiches and wraps up a notch with a simple homemade tempeh bacon. Is it going to ‘fool’ omnivores? No. 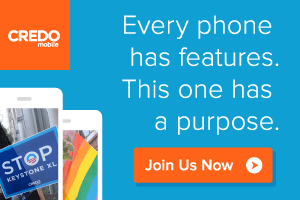 Do you care? Of course not. Liquid smoke is imperative here, so don’t skimp on this essential ingredient. I like to marinate my tempeh at least overnight, sometimes for a few days. I almost always have some tempeh marinating, and it’s usually a version of this. 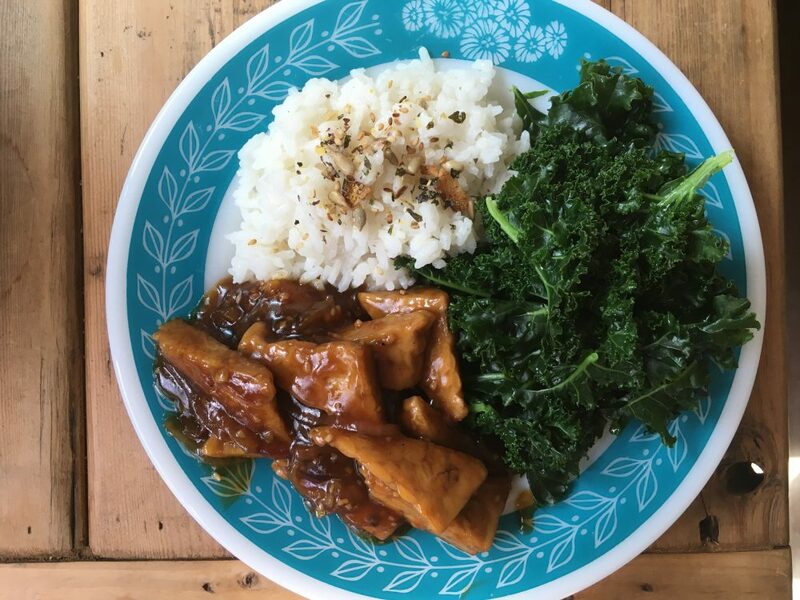 Teriyaki is basically a thicker, sweet soy sauce, and it’s a perfect condiment to dress tempeh. Serve simply like in the picture above, or stir it into a big pile of stir-fried veggies. I think broccoli is what sounds the best here! 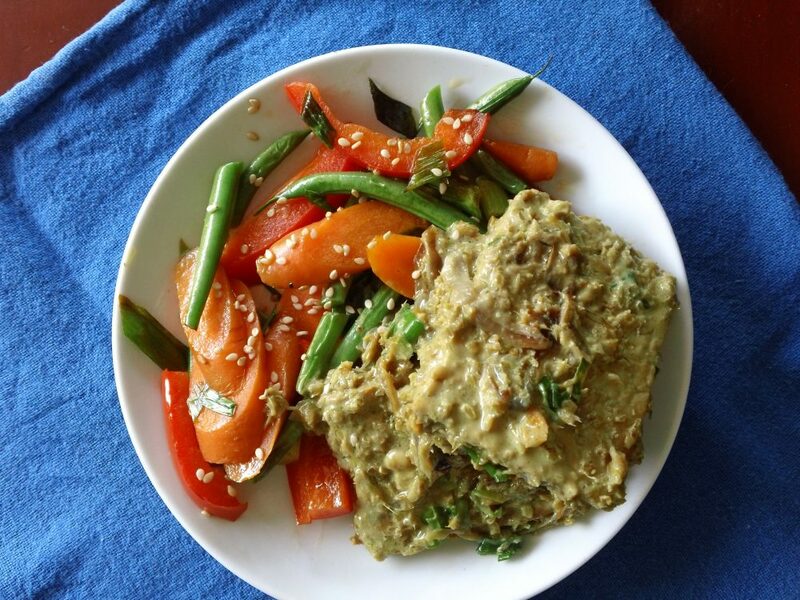 This is a creamy, dreamy tempeh recipe made using some fun ingredients like lemongrass and ginger. Serve with coconut rice or as a side to steamed veggies. The trick is to let the mixture cook down so that the coconut milk thickens up and really coats the tempeh. 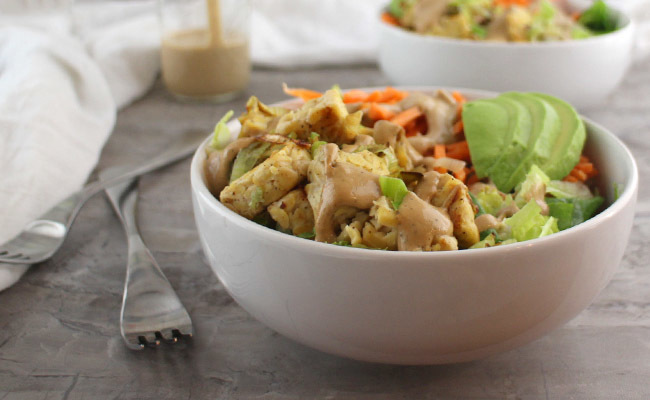 Tempeh recipes are cool because they can go from cozy comfort food (like in the bolognese or stroganoff recipes) to something super clean and light, like this superfoods bowl. 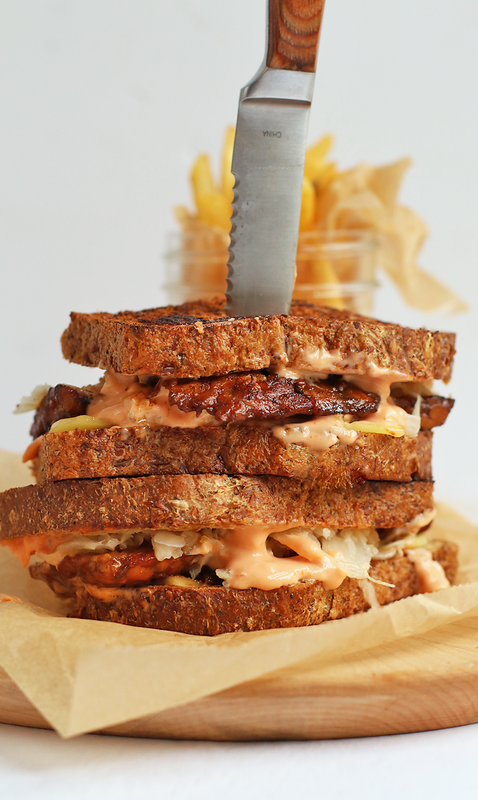 I think a Reuben was actually they first vehicle that brought tempeh to my mouth. And it’s been a serious love affair since then. 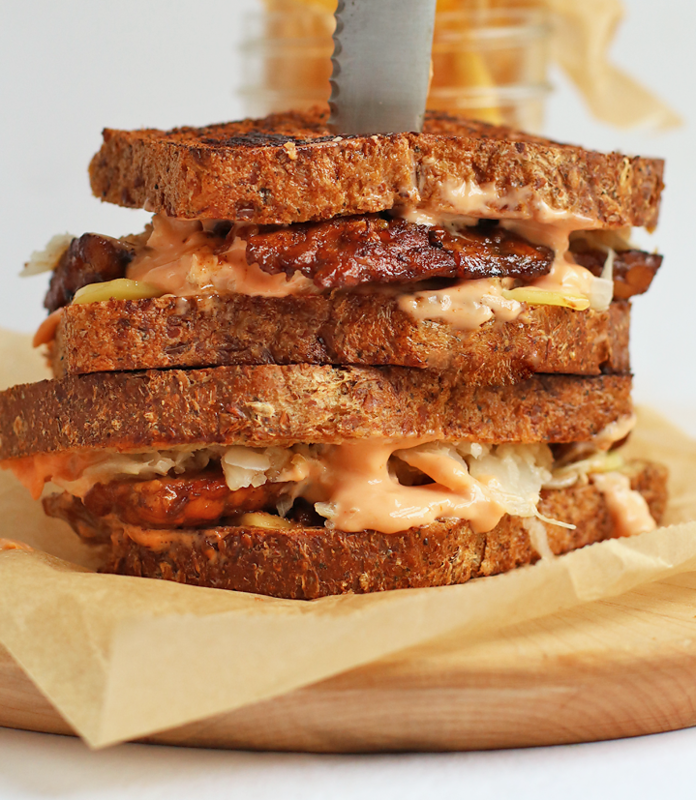 Tangy sauerkraut pairs really well with the tempeh, and it makes the meal double fermented awesomeness! 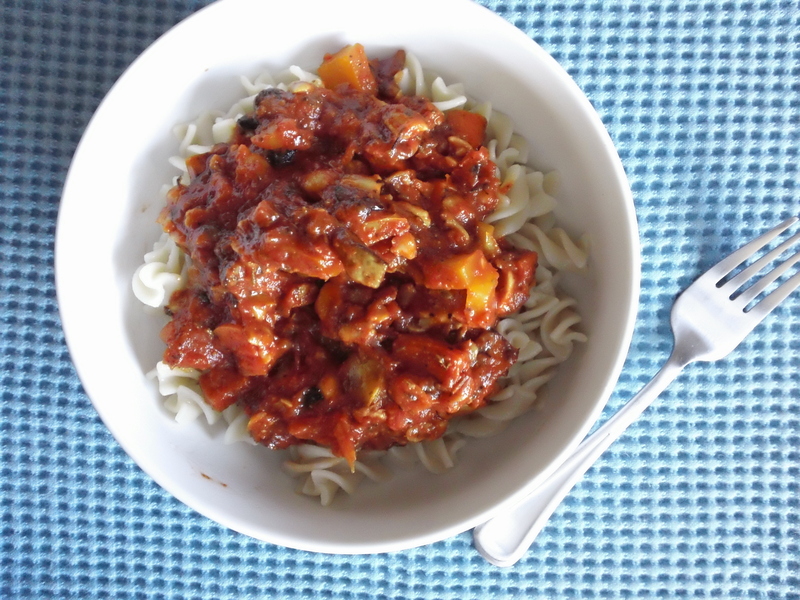 Crumbled tempeh in your favorite marinara sauce is an awesome comfort food. I like to cook the tempeh with some onions and other veggies before adding to the sauce for the best flavor. This makes the sauce really hearty, so serve with something really light like a big kale salad. 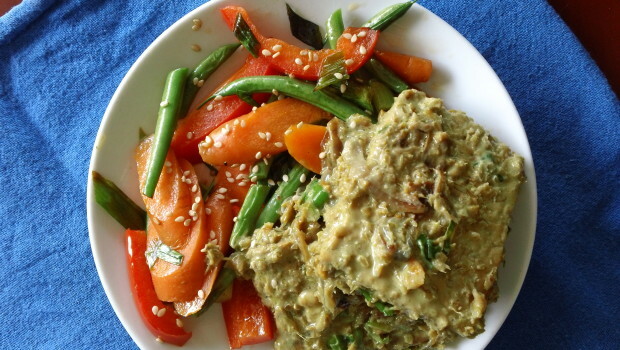 It’s like my friend Becky made this tempeh recipe just for me: tempeh + tahini sounds like my perfect meal. Also, adding tempeh and tahini to a salad makes it extra hearty since it adds heaps of protein and fat to the leafy things. What is a Fricassee? Sounds fancy, but really it’s a dish of protein simmered in a white sauce. 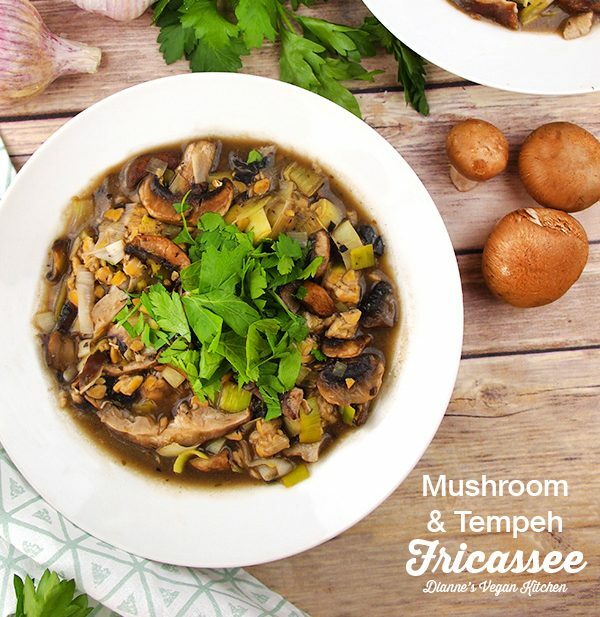 Follow Dianne’s recipe and impress all your friends with its yummy flavor and so that you can practice excellent French pronunciation of fricassee until they start rolling their eyes at you. I hope this list gets even the most novice tempeh chef off to a great start! 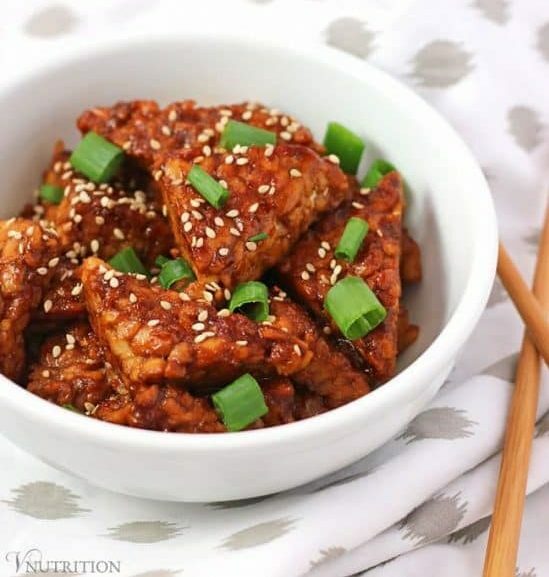 If you have a favorite tempeh recipe, please add a link in comments and I will add to the list!